While the weather is getting colder, I am back to making one of my favorite comfort foods, tagine, which I made previously here. 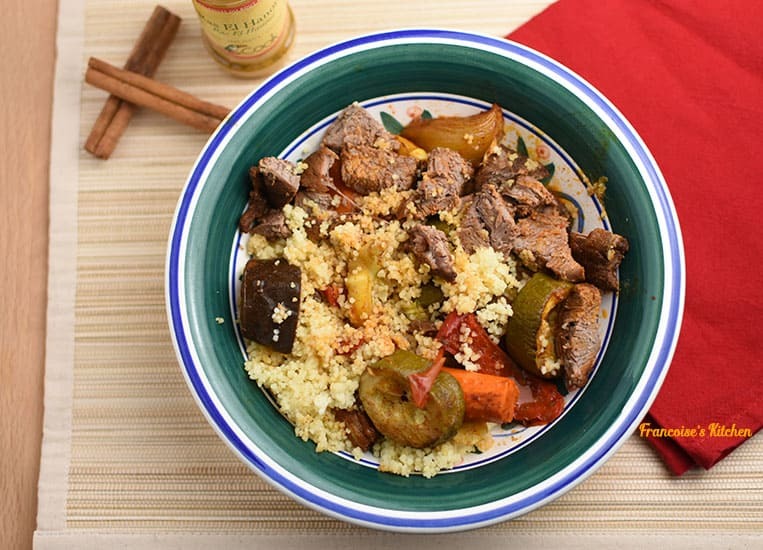 This time I wanted to make a different recipe, Lamb Tagine in Granite Ware roaster (a great cooking method that I talked in this article), to see the difference. 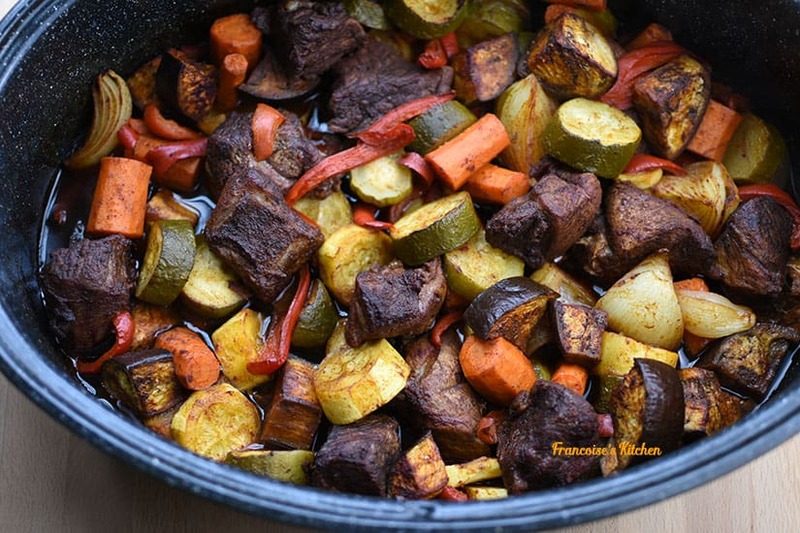 When trying this recipe, I found the lamb and the vegetables very tender and more concentrated in spice flavor. I did not add any liquid as I usually do in my other recipe and was a little nervous that the meat or vegetables would burn or stick to the pan. Surprisingly, everything was perfect: I got enough juice from the meat and vegetables. In fact, the granite ware roaster has the same principle of the tagine dish. The steam produced in the granite ware will go up on the lid, condense, then drop back down so everything stays moist. What I really like about tagine is how versatile it is. You can easily substitute other vegetables such as root, winter squash, wild mushrooms… and substitute pine nuts by almonds and/or other dry fruits in your pantry (raisins, cranberries, plums…). Lamb Tagine cooked in Granite Ware Roaster is very tender and more concentrated in spice flavor. 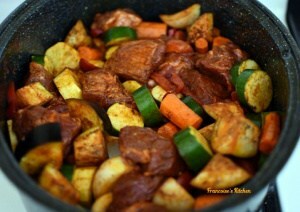 In the Granite Ware Roaster, put the meat, all the vegetables, all spices, balsamic vinegar, and olive oil. Mix them well with your hands so everything is well coated. Put the lid on the Granite Ware roaster and cook for 1 hr 30 min. I like to serve my tagine with plain couscous or bulgur. Recipe from Marie Chioca's book "The Roaster".